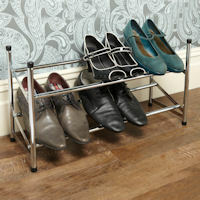 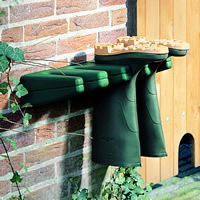 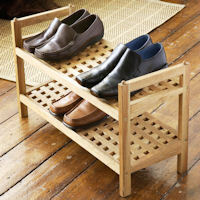 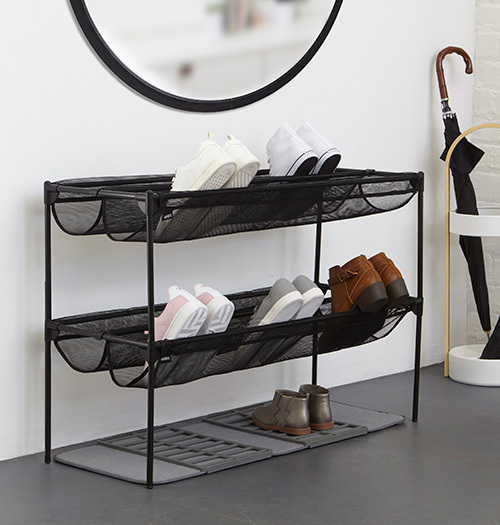 Designed by STORE favourites Eugenie de Loynes & David Green, our Sling shoe rack is a real clutter buster for your hallway or how about in the bottom of a wardrobe. 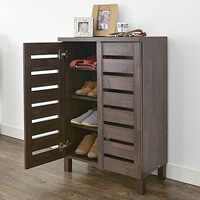 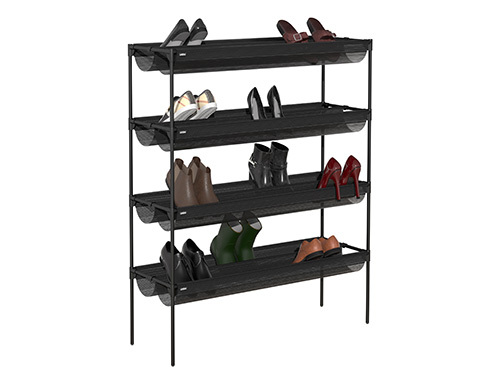 This space-saving shoe rack can neatly store 16 pairs of shoes across two rows of sturdy mesh pockets which are not only great for storing shoes, but also handy for accessories such as umbrellas, bags, hats etc. 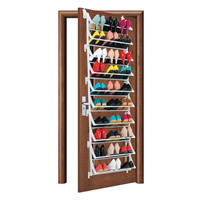 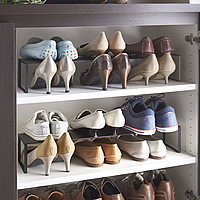 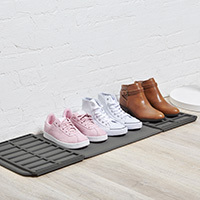 For those with real shoe storage needs, why not stack 2 sets together (as shown below) making the best use of vertical space.